Hamish and Cairine, originally uploaded by ccgd. Our Hamish and his girlfriend Cairine. 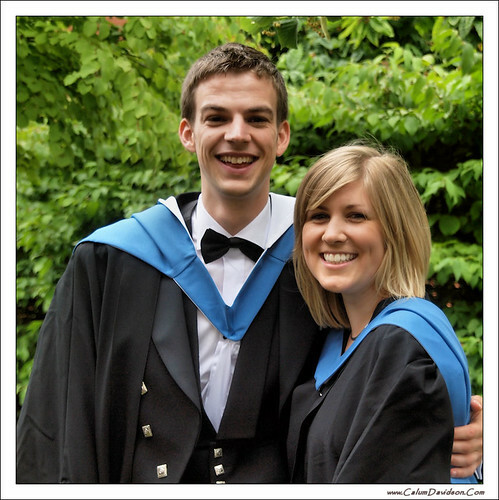 Hamish got a First Class Honours degree in Accountancy and Finance, and Cairine a First in Accountancy. Splash one, originally uploaded by ccgd. 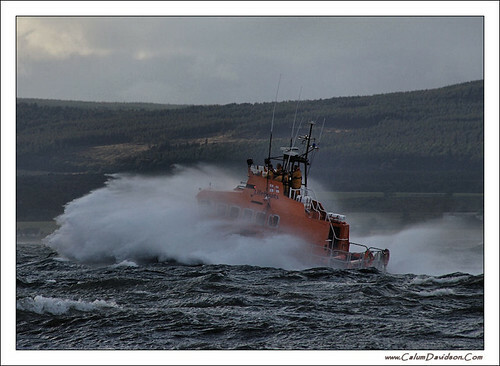 The Invergordon Lifeboat motoring past Cromarty, on Sunday night in Forth 7/8 seas. It was returning from a "shout" at Nigg, where a workboat was driven ashore by high winds and seas. They returned on Monday Morning to tow the vessel back to its moorings. 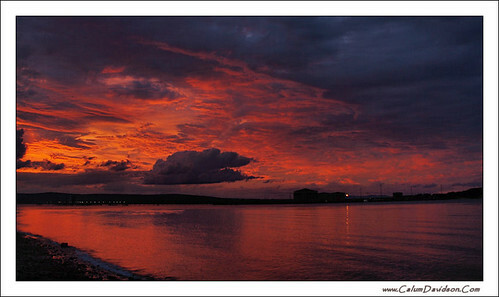 Sunset over Cromarty, originally uploaded by ccgd. Cromarty can be a remarkable place for dramatic sunrises and sunsets, with the Sutors framing the morning sun, and the Ardross Hills and Ben Wyvis acting as a backdrop for the “setting of the sun”. The really spectacular ones tend to be more Autumnal, which made last nights almost midsummer display quite special. You would hardly know that there was a large Port and quayside in this photo, with only the single light – reflected in the Firth – drawing your attention away from the almost Jovian display of clouds and colours. Been home for a few days after what seems weeks of travelling. So its nice to take a walk along the beach in the very soft summer air and see this type of light display.